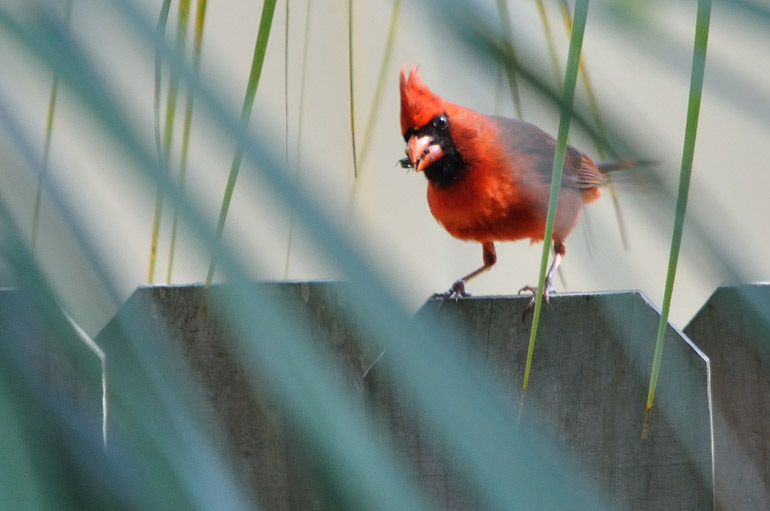 A male cardinal hops along the top of a fence, bringing food to a nest near the roadside. I have charged myself with a task to get the perfect photo of a cardinal for a former co-worker's going-away gift. I'll attempt to shoot the red bird each day this week, and we'll see if I can get something usable. Today, I took a walk only a mile from my apartment. 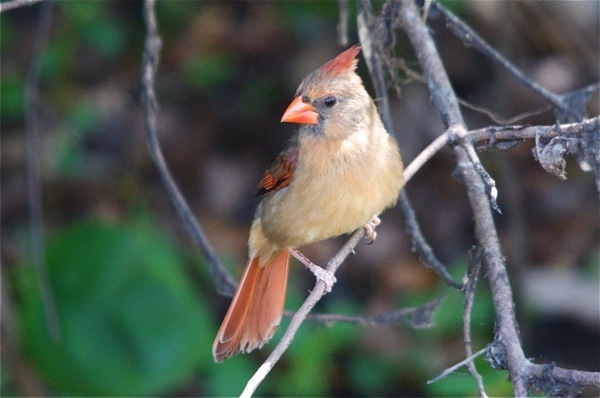 During my daily running sessions, I have noticed cardinals flying along the road, possibly finding food for their little ones. Their chirps are unique, so I used my ears to find them. A flooded ditch runs along the road, with private property on the other side. The birds tend to land in the brush that separates the properties from the ditch. I have a hunch that they're nesting in those areas. All of my shooting was done at birds that were low to the ground, where the lighting isn't ideal for my slow 150-500mm lens. Also, many of these photos were cropped tightly, reducing their quality. I couldn't sneak up close enough to the birds. The hunt must go on. 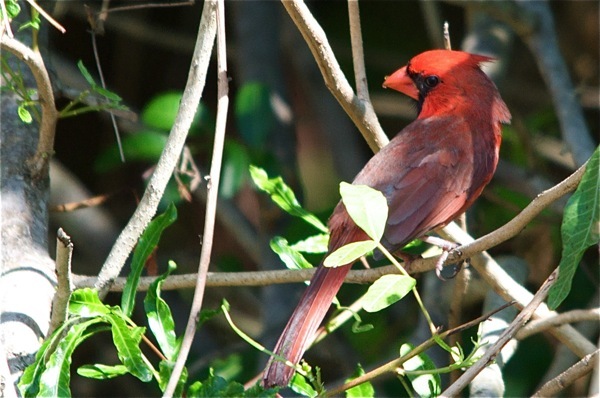 A male cardinal takes a look behind him. Wow, that's crazy how well you can see the bug in the first one. To prevent more ego tripping on your part, I'll just thank you for your effort.